Here we go again, kids. Another week, another chance for me to ramble about something. 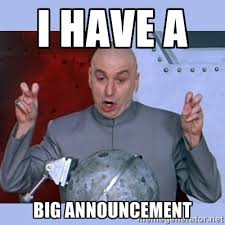 Plus, there’s an announcement! The business of the week first: we’re going to take a look at what the hell makes Scott Pilgrim of Scott Pilgrim vs. The World such a prize (hint: he’s not), as well as the need for self-preservation versus the greater good of, you know, containing world-wide disaster in Resident Evil. We’ll round out the week with a recommendation for Pirate Radio, which can be hit or miss. For a hedonist on a budget like me, it’s a hit. Now that the accounting is out of the way, we can move on to the party. Yes, we’ll be live Tweeting again. This time, our lucky victim is the 2014 Canadian gem WolfCop. I tried getting through this movie once before and I failed. I will have reinforcements with me this time around (as well as booze). Come join me on Twitter (@bsdriverreview) on Saturday, May 21st, at 6 PM EDT. It’ll be a blast.